The in class driving course was good and Malik made everything so much more enjoyable with his humor! I just finished my 10 hours of driving with Malim and passed my G2 with ease! Malik taught me well. It's well worth the money to get your driver's course here. Next stop, G license! Great job All Seasons Driving School. I learned a lot from this class. it was a great experience and Mr. Malik is great teacher. He is quite funny and i had a good time in his class. I would recommend to join All Seasons Driving School. Great work !! Malik is a great driving instructor, I definitely recommend using him to help you prepare for your road test. I’m glad I passed with his help. Malik successfully taught me the necessary skills that it takes to pass the G2 test. Overall pleasant experience. Amazing driving school! Everything is well organized and professionally run. Instructor Malik made in car lessons as stress free and productive as possible. He was also extremely organized and accommodating in scheduling lessons. The driving instructor was very nice and helpful and tended to all of the students needs. They were very instructive and easy to get along with and taught valuable lessons. This is my first time in a driving school and I had such an amazing experience. I was treated with so much respect and the classes were interesting and fun to be in. I wish it was more than four days because I had an amazing teacher and a class. overall, It was a great experience and you get to learn a lot in those four days! I took driving lessons from Zahir. He has a lot of practical advice that can make driving easier and safe. I was very nervous, and he recognized my issues and tried different approaches in teaching me. I went into the test confidant and prepared. I now have my G2. I will be going back to Zahir when it comes time for my G test. Thank you! I’ve learned a lot since beginning driving school. They have taught me so many valuable lessons that I will take with me throughout my entire life as a driver. I would highly recommend All Seasons Driving School to anyone looking to register for driving school. Their experience and expertise is second to none, and you are taugh in a calming environment that makes you feel confident behind the wheel. Zahir was a great teacher. He's patient and explains things well. He makes things simple and makes sure you feel confident behind the wheel. I would definitely return. The teacher at this school is fantastic! The office is really helpful with any questions you have. I would recommend this school to anyone. I attended this driving school a week ago and had a great experience. The staff are friendly and the instructor keeps a light mood for some considerably boring topics. They make sure you are knowledgeable and ready for any driving situation. Awesome class, and Zahir was an amazing teacher. Highly recommend going here! Great driving school, the teachers are full of knowledge and very entertaining. I recently went to this school. Very helpful people. The staff was amazing helped me out in every corner that I needed help in. I am so happy I passed my G2 on the first try. I went to All Seasons Driving School, they where very nice and helped me get my license with in a few weeks. The instructors are very knowledgeable and helpful in teaching. I would recommend this driving school to any person who needs help to learn driving. Habib was very informative and helped me achieve getting my G2; even when I doubted myself and wanted to reschedule he insisted I could do it and I did! All seasons driving school is great at what they do. Teaching safe driving and developing your driving to a point where you can feel confident in your driving skills. They go the extra mile to ensure their students are ready and comfortable to drive safely. They definately meet and exceed all expectations! Keep up the amazing work!! I had an amazing experience at the driving school. I learned a lot from my teacher and instructor. They both were really helpful. 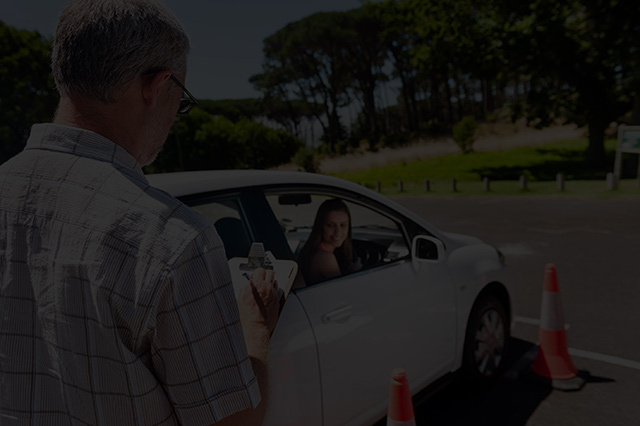 Going to this driving school has taught me a lot, and I would recommend this driving school to anyone whose looking for a helpful and informative experience that's worth your money. I am extremely astonished by the service All Seasons Driving School has provided me with. They are very helpful, encouraging, and discipline. All of there instructors are very helpful especially Zahir. He was my driving instructor and it was a great pleasure to have him as my driving instructor. I've recommended this amazing driving school to many of my fellow classmates and I will continue to do so because this driving school is the BEST!!!! Great job Mr. Zahir I'm very amazed by your level of teaching and skills. I originally went to Inter driving school and one of the guys who do the in car lessons (not sure which one) was very stressful. Kept me on edge so I didn't learn as well as I could have. I came to All Season for a refresher before my test and learned even more than I had originally thought I was going to. Wish I had started with them in the beginning. I'm a more confident driver now. Would definitely recommend to someone in the east GTA. I love all the instructors and secretary who helps with all procedures, driving instructor, work and financial part of the school. The scheduling is perfect with mine and for the price it is great!!! GO TO ALL SEASONS DRIVING SCHOOL NOW! I cannot imagine learning to drive without driving school and ALLSEASONS DRIVNG SCHOOL definitely did the job. The in class lessons were comprehensive and the instructor is extremely knowledgeable. The in car lessons were great too. Zahir really went out of his way to work around my university student schedule, I finished the course with new found confidence and sharing the road and most of all, a great understanding of the rules and regulation to make the road a safe place. Course was outstanding really thought me how to be safe on the road. The instructors were very knowledgeable. I fully recommend and endorse this course to everyone more importantly Allseasons Driving School to all my friends. The instructor was very friendly and instructor made the course rally enjoyable and fun easy to learn. I will most defiantly recommend this course and school to all my friends. Thank you so much Zahir for all the help teaching Raymond the best driving skills. I'm sure we will never forget you. Best of luck with all your endeavors!